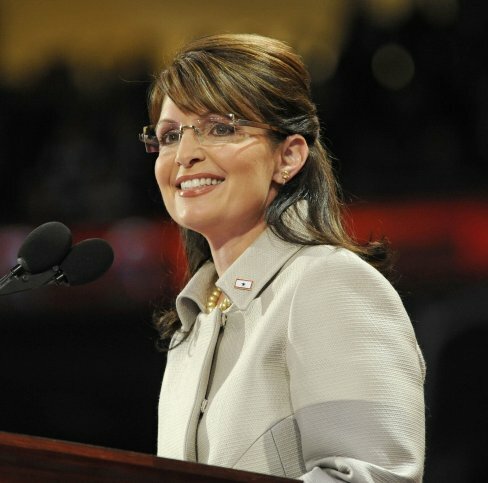 is palin the best choice in 2012? It’s all but certain that Sarah Palin will run for president in 2012, especially with her aides looking for office space in Iowa. That added with her new book and tour seem to indicate that a presidential run is a certainty. It seems that many Republicans from those who are more moderate to those who claim to be a part of the tea party are hesitant to support such a run. Mona Charen wrote a piece over the weekend detailing why Palin shouldn’t run. Everyone seems so willing to give answers as to why she should not run listing all the things she has done wrong during the time between her bid as the Vice Presidential nominee until now. Most fail to mention the success candidates she endorsed had in the mid-term elections. 51 out of the 61 candidates she supported in the primaries won and so far 32 of those candidates have won in the general election. Two of the biggest races where a Palin backed GOP candidate won were the gubernatorial races in South Carolina and New Mexico which saw Nikki Haley and Susana Martinez win. She has brought about a great wave of support among women to the right and that support came to fruition with these women winning and both becoming the first female governors of their respective states. Her PAC produced a great video highlighting the support she has created among women. One thing I have trouble comprehending is the absolute hate the left has for GOP women in general but especially Palin. Michelle Malkin has detailed what she has called “Palin derangement syndrome” since the last presidential election. Here is her post describing the left making fun of Palin for referring to the tea party of 1773. The left went crazy over how stupid she was for referring to a tea party in 1773…nevermind that was the actual year of the Boston Tea Party. I could write a novel on the absurd number of false attacks she has endured over the past few years but I need to sleep at some point and more importantly I’m not getting paid for this. The main objection most Republicans seem to have against Palin is that she is not electable in a general election. Many think she could win the primary but she would fail in the general election. Quinnipiac University released a poll today giving evidence to support that argument. I felt the same way in 2008 about a certain presidential candidate. This person came from nowhere and was running against the establishment of his party. He seemed to be entirely too radical to ever get elected in a general election so I was really hoping he would win. Then Barack Obama went on to win the presidency in a near landslide. Besides the obvious ideological differences, Obama and Palin are about as different as two people can be and Palin winning in 2012 would be very different than Obama winning in 2008, but there are certain parallels that can’t be ignored. Will Sarah Palin be the Republican nominee? No one knows for sure. I don’t even know if I would vote for her. However, she is certainly more qualified than this bozo and the rest of the Obama clan. All I know is that I can’t wait for 2012 because if it’s Palin, Gingrich, Pawlenty, or an unknown there will be a Republican elected President.